There is a magical place in St. Elisabeth, Jamaica called Backseaside and I find the landscape there mesmerizing. This painting is one of a number of vistas that I have painted from that region. 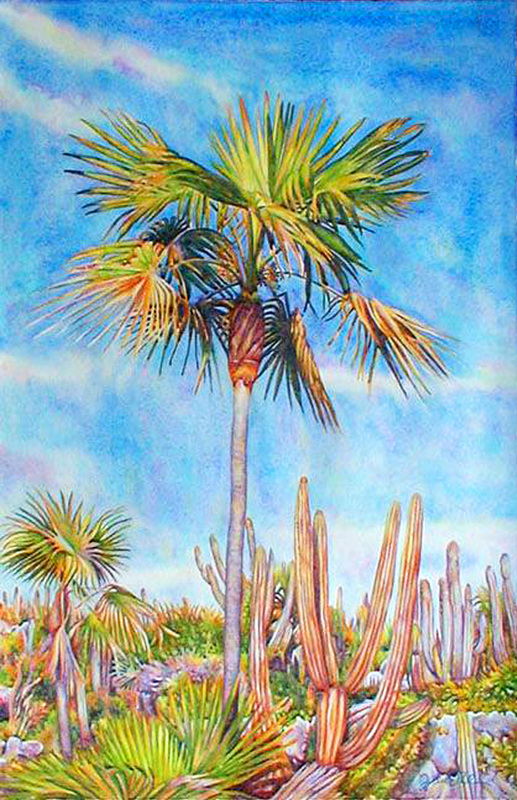 With its cacti, thatch palms and gnarled lignum vitae trees weathered by the sea winds, it offers a somewhat surrealistic atmosphere for the artistic eye. This is a limited edition of 250 giclée prints on watercolor paper. The original painting has been sold.